Something is known about how people become individually great. Richard Hamming gave a famous talk on that subject, You and Your Research. While his talk was about the problem of individual greatness, he acknowledged that groups or teams have the potential to become great also. This essay is about how to reliably produce great teams. Before we dive in, let’s talk about why reliably producing great teams is important. I will mention some problems in the world that are important to solve: ecological devastation, poverty, war, disease, and the meta-problem: the survival of our species. Just working harder is not going to solve these problems – people have been doing that for thousands of years without success. If you look at the most difficult problems facing humanity, I think it is self-evident that if we would have an abundant number of geniuses working on these problems, they could be solved. If you study the work of applied genius throughout history, you can see this is true. So why haven’t all the problems been solved already? This is the Problem of Problems. Read more here: Solving the Problem of Problems. At least once in their lives, most people experience the incomparable thrill of being part of a great team effort. Members of successful teams often feel a unity of purpose, powerful passion and inspiration, and a strong sense of accomplishment. People who have been on a great team know that the difference between being on a team with a shared vision and being on a team without one is the the difference between joy and misery. After successful careers leading software development teams at Microsoft and elsewhere, Jim and Michele McCarthy set out to discover a set of repeatable group behaviors that would always lead to a state of shared vision for any team. The result was a practical, communicable, and reliable process that could be used to create the best possible team every time it was applied. Software For Your Head is the first publication of the most significant results of the authors’ unprecedented five-year investigation into the dynamics of contemporary teams. this book will give any team the know-how it needs to create its own compelling shared vision. I also put up the Core Lexicon from the book in HTML format. Matthew Russell recently interviewed me about Mifos for the PayPal X Developer Network. This came about because Adam Monsen, Van Mittal-Henkle, and I gave a talk called “Ending Poverty with Software” at OSCON 2010. I don’t believe that only software can end poverty. But if we want to reach the 2-3 billion people in poverty, we definitely need software. uIP TCP/IP stack and ZG2100 wireless drivers for the Leaf Labs Maple! Perry Hung just ported the AsyncLabs WiShield 2.0 (ZG2100) drivers to the Leaf Labs Maple board! Here’s picture of the two boards running the WiShield WebServer demo. You can see the wireless connection light is on. Maple is a sweet new Arduino-like physical computing platform. It’s got analog and digital in and out like the 16MHz, 8-bit Arduino, but is based on a faster, 72Mhz, 32-bit ARM Cortex M3 processor from ST Microelectronics. It’s about $50. The WiShield is about $50 too. The ZG2100 is only about $30, so it is probably possible to build a lower-cost combined board. HTTP is the new device driver! 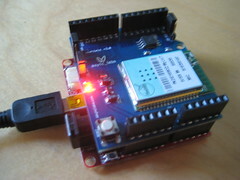 A new age of iPad and iPhone compatible, Arduino-like devices are upon us! Yay! LANL is working on low cost, IEC fusion power reactors. This is Inertial Electrostatic Confinement-based system, otherwise known as the Farnsworth-Hirsch Fusor, invented by Philo Farnsworth, who also invented television, back in the day. Robert Bussard, Eric Lerner’s Focus Fusion, and others have also been working on inexpensive means of fusion. These are important, because unlike the hugely expensive ITER, these types of reactors are small and affordable by cities or companies. 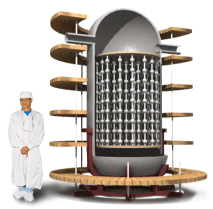 Reactors at ITER’s scale require funding from multiple nation-states. The inexpensive fusion technologies really could usher in a whole new world – with cheap electric power, we can cure many of the world’s problems that are related to scarcity*: water shortages, food shortages, poverty caused by lack of clean industrial development. It means fast and inexpensive space travel, too – possibly enabling us to survive world-size disasters like asteroid impacts. I’m hopeful that more resources being put into this kind of power generation will yield results faster than ITER, which has been slow and expensive. * Yes, if we can also stop fighting so much. I’m hopeful that when cheap fusion power is prevalent we will at least stop fighting wars over resources. 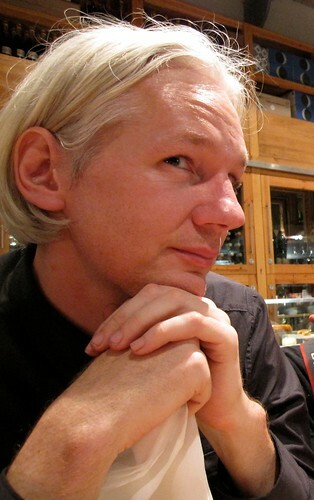 …what’s really interesting about Wikileak’s Julian Assange is that he is one of the most important innovators in modern conflict alive today. A true global guerrilla. In other words, he’s a person that has effectively adapted modern methods of warfare/conflict to engage and defeat the biggest nation-states in the world. Therefore, one hundred victories in one hundred battles is not the most skillful. Subduing the other’s military without battle is the most skillful. Increased survivability among the participant groups. More frequent attacks and an ability to swarm targets. Here I think Robb is using the word violent to mean “acting with or marked by or resulting from great force or energy or emotional intensity,” not necessarily causing physical harm to anyone. This has application to the “war on poverty” – following Robb’s ideas, and Assange’s lead, if we actually want to eliminate poverty from the world, we’d start a movement of open-source wealth creation that had the characteristics outlined above, an open source war on poverty. It would be able to innovate quickly, be resilient, centerless, and would quickly swarm around key opportunities, key points where progress can be made quickly and on wide scale. Your vote on American Express’ website will help us win a $200,000 grant – we’ll use that money in our quest to end world poverty. Vote here (after clicking the link, you need to register the first time you vote). For more information about why you should vote, one of our interns Fred Graves made this informative and entertaining video! Great post on Business Model Alchemist on using Customer Development for social business. This is what we’re doing where I work at the Grameen Foundation’s Mifos Initiative, as I described in a post a few days ago. Business Model Alchemist does an imaginary case study for the very real PeePoo company, makers of a biodegradable bag you can use as a portable toilet. PeePoo is trying to mitigate the problem of flying toilets that are found in slums worldwide – the practice of peeing or pooping in a plastic bag, and throwing it into the air away from your house. It’s a significant problem, because more than 2 billion people live without access to basic sanitation. You need to find a business model that makes money, but also one that will help significant numbers of people. The business model you start with – that you think up in your offices – will probably be wrong. You need to go through several or many iterations that incorporate learning from the field. The Customer Development process assumes that many of the initial assumptions about your business model are probably wrong, which you will find out in the second step of the process, Customer Validation. It is only when you start testing a business model or aspects of it with customers that you will find if your hypothesis were right or wrong. Hence, the Customer Development Process builds in an iteration loop to fix the shortcomings of your business model. Eric Ries, who built on Steve’s work, coined this business model iteration loop the Pivot.